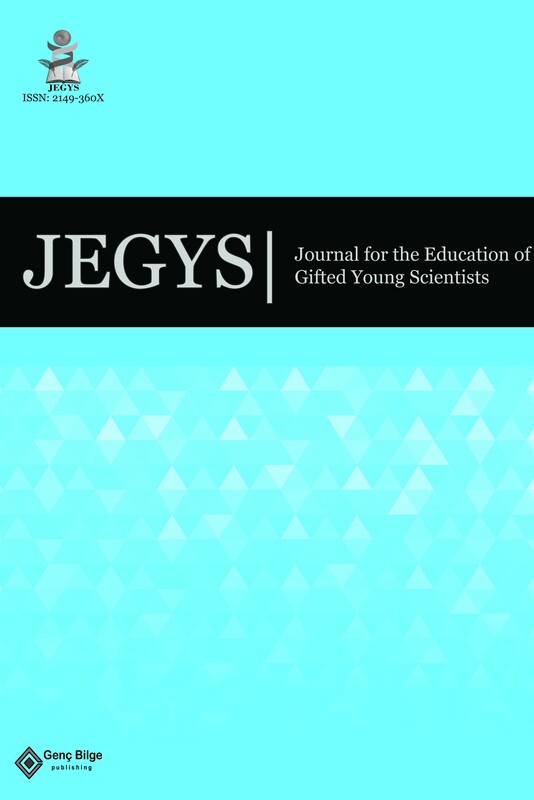 The JEGYS is an international refereed scientific journal which publishes review and research article, teaching techniques and activities for the education of the gifted young scientist, book reviews and interviews in English. Submitted articles are evaluated in a double blinded peer-reviewed fashion. The JEGYS is an open access journal, published two issues a year. JEGYS holds copyrights for all articles published in the journal. We are happy to inform about acceptance of SCOPUS-Elsevier. Our jour is one of the three journal related gifted education indexed in SCOPUS. We are waiting news from ERIC and TR DIZIN- ULAKBIM the end of year. Thankss for contirubuting the JEGYS.